Black 2 and White 2 Other Pages: Version Differences - Places | Because if it wasn't almost the same it'd be entirely the same.. Since the start of the Pokémon craze, there has always been two games released alongside each other, a Red and a Green if you'd like, or a Black and a White, where there would be some minor changes, usually not worth the extra money spent on the games for what they had different to the other version. Black 2 and White 2 aren't much different, but I've been told not to say that. Pokémon Green (Blue) and Red started with just a few Pokémon being exclusive to one another, making a bit of a mockery of the 'Gotta Catch 'em All' motto. Pokémon Gold and Silver added to that, offering nothing different but different Pokémon sprites and, again, exclusives to each game. Pokémon Ruby and Sapphire took that and spun it somewhat, offering a different but somewhat similar storyline between the two games; one went after a lot of water, one went after a lot of sun. Diamond and Pearl went all trippy and had it being between space and time, although I'm not particularly sure what happened in the end with that one.. something to do with a distortion world..
Black and White, however, introduced some differences not similar to the previous patterns, introducing areas exclusive to one another to go alongside their different Pokémon and different appearances.. Native to Pokémon Black 2 alone, Black City offers tasks, characters and trainers exclusive to the game that you simply won't be able to find on White 2. This also includes the new Black Tower, a challenge where you'll find a variety of trainers to battle with the aim of reaching the leader of the Tower. 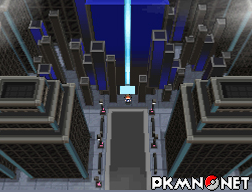 You will have to battle through ten different areas, all packed with fun, games and trainers, before you reach the Tower Leader at the end of the tower. Native to Pokémon White 2 alone, White Forest offers tasks, characters and trainers exclusive to the game that you simply won't be able to find on Black 2. 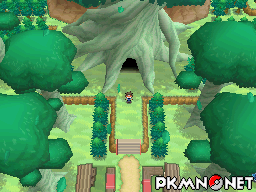 This also includes the new White Treehollow, a challenge where you'll find a variety of trainers to battle with the aim of reaching the leader of the Hollow.. You will have to battle through ten different areas, all packed with fun, games and trainers, before you reach the Hollow Leader at the end of the tower. 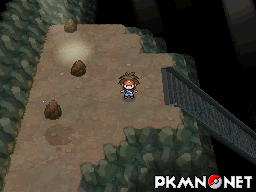 As you will have noticed walking through Route 4 (Unova) in Pokémon Black or White, this route was back then just in the early stages of construction. Pokémon Black 2 and White 2 have expanded upon that, although there are very noticeable differences between the two games. In Black 2, the route is finally completed in construction, home to buildings and trainers whilst still offering a route to the desert. However, in White 2, the route has been disrupted with the discovery of some ancient ruins underneath, containing sandstorms and buildings decayed through the years. 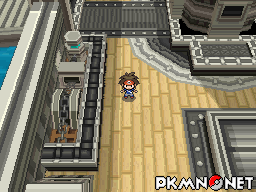 Much like in the prequels, Pokémon Black 2 and White 2 has aesthetic changes in certain areas, such as Opelucid City. Black 2 sees a more futuristic and technological layout, whilst White 2 gives a more rustic and dated feel to it. Whilst the layouts vary in magnitude, the contents are mainly still the same with every character present although in slightly different places. Although minor, Mistralton City displays differences to the airfield in the two games. 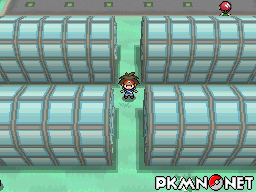 Pokémon Black 2 shows off numerous greenhouses, whilst White 2 displays plots to signify plants growing although they cannot be used to grow berries. Similar to Opelucid City, there are layout changes for the Plasma Frigate dependant on which game you are playing. 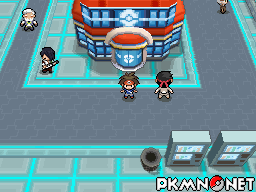 For instance, if you enter from Route 21 (Unova), you'll enter the first deck of the ship. This floor is seperated by a massive pillar from the top of the ship, with Black 2 allowing you to go to the top half of the ship, whilst White 2 allows you entry to the bottom half. The two areas have different puzzles and tasks to complete along with different trainers; Black 2 sees a tile-warp puzzle, whilst White 2 is your good old "collect the card and passwords" challenge. This is flipped when you reach the second floor when gaining entry from the Giant Chasm, Black 2 has the cards and the passwords whilst White 2 will have the puzzle. 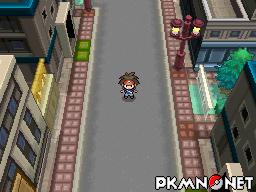 Like Opelucid City, Victory Road has minor changes in terms of layout dependant on which game you're playing, although the characters and the trainers are still all present albeit in slightly different locations. A first for the Pokémon series, Black 2 and White 2 introduces a little aesthetic differences with the battle screen in particular. Black 2 shows the little health bar shaded in, believe it or not, black, whilst White 2 displays it in a colourful white.